I didn't know what to say when I learned of CPT Jarabek's passing. I was in the 542nd, with her, and she was my PL. I am transitioning out of the Army (Retiring) now and I look back at those cherished souls, who I knew, who are gone, and I wonder what I, or anyone else, could have done differently, maybe, to change their course just long enough to keep them from the swinging door of the unknown. I found a picture last week, in a box of photos, with myself, Jarabek, and another flight medic, during EFMB training we attended at CP Humphrey's. We were in our MOPP Suits, with black camo all over our faces taking a break from training to eat our MRE. I still think of her, CPL Barnes (a Soldier of mine) and SFC Sprague (a Soldier I served with in Desert Storm), all were so very special, all were taken much to early, and all are so very missed. I remember her as a very bright and yet whimsical young lady. 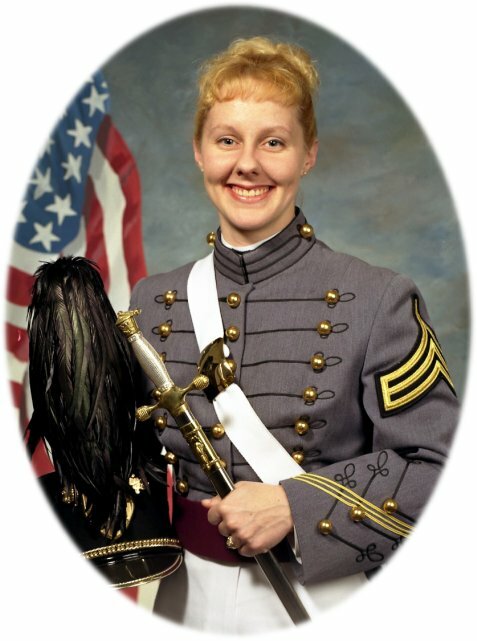 A great person a heart, also carried the West Point Spirit with her in everything she did. My sincerest condolences to her family. I know it has almost been 4 years, but I felt I should post a note.